Families holidaying in Darwin will find a number of attractions that will appeal to young children. Located on the north-easterly outskirts of the city and close to the Holmes Jungle Nature Park, the Crocodylus Park is operated by Wildlife Management International and ranks amongst the very best places in Australia to get up close to the planet's biggest reptiles. Visitors will be able to see more than 1,000 baby hatchling crocs, as well as some giants measuring close to 5 metres / 16 feet in length and weighing in at more than half a ton. Also here are a number of exotics, including monkeys, birds, snakes and big cats. 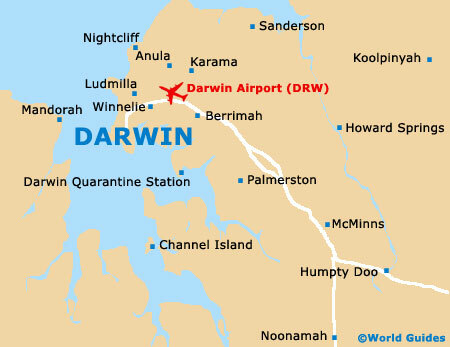 Families in Darwin may also like to check out the local parks, or take a trip to the Australian Aviation Heritage Centre, which is located just off the Stuart Highway and next to the airport. 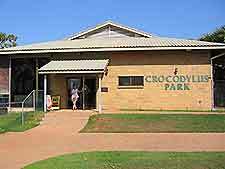 Visitors to the Crocodylus Park can see full-grown crocodiles and feeding demonstrations. Those looking for the complete hands-on experience can even have their picture taken holding a baby hatchling (measuring around 30 cm / 12 inches). The history and life of crocodiles is explained within the onsite Croc Museum, which is fully air-conditioned and includes a fossil record spanning more than 200 million years. Crocodilians on exhibit include Australian Freshwater and Saltwater crocs, together with American alligators, and New Guinea and Philippine crocs. 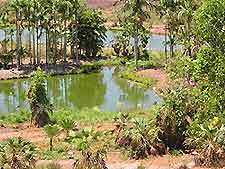 The small onsite zoo contains various iguanas, pythons, boa constrictors and corn snakes, as well as Hawksbill sea turtles, Pig-Nosed turtles, lions, tigers, leopards, ocelots, fishing cats, marmosets, tamarins, spider monkeys and capuchins. Keeping with the Australian theme, the zoo is also called home by antilopine wallaroos, agile wallabies, common wombats, dingos, emus, ostriches, rainbow lorikeets, southern cassowaries and Queensland lungfish. Close to the city are three small parks / reserves, which provide ideal family recreational spaces and come with barbecue facilities, picnic areas and a wealth of walking trails. 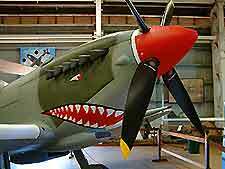 The Australian Aviation Heritage Centre features spectacular aircraft and interesting displays of related memorabilia. Visitors will be able to get up close to planes such as an Avon Sabre, Boeing B-52 G, Mitsubishi Zero and a Stratofortress. Also here is a Supermarine Spitfire VIII Replica and a Huey Cobra AH-1G helicopter. A souvenir shop is on hand and comes with both videos and books documenting the bombing of Darwin by Japanese aircraft during the Second World War.